Our next chapter of our Pandas Tutorial deals with time series. A time series is a series of data points, which are listed (or indexed) in time order. Usually, a time series is a sequence of values, which are equally spaced points in time. 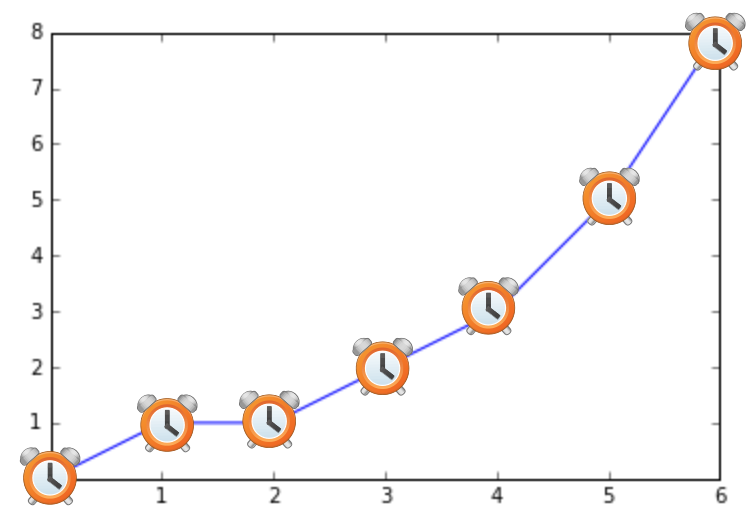 Everything which consists of measured data connected with the corresponding time can be seen as a time series. Measurements can be taken irregularly, but in most cases time series consist of fixed frequencies. This means that data is measured or taken in a regular pattern, i.e. for example every 5 milliseconds, every 10 seconds, or very hour. Often time series are plotted as line charts. In this chapter of our tutorial on Python with Pandas, we will introduce the tools from Pandas dealing with time series. You will learn how to cope with large time series and how modify time series. We could define a Pandas Series, which is built with an index consisting of time stamps. As with other series the indices don't have to be the same.